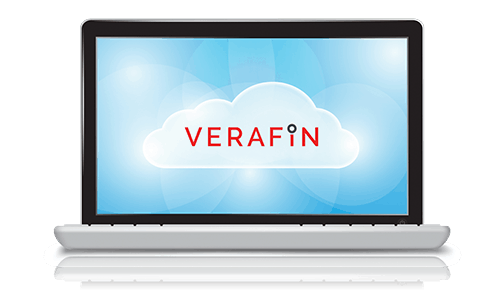 Verafin automates your CTR processes from report generation to e-filing directly with FinCEN. Currency Transaction Reports (CTRs) can be time consuming processes fraught with potential error. Verafin scans all transactions in your core system to fully automate your CTR creation and submission process. The latest FinCEN report is auto-populated with all necessary data and electronically filed directly with FinCEN. Verafin scans your customers’ transactions every night and automatically generates any required CTRs for you to review the next morning. Even better, the CTRs are auto-populated with all the required data, meaning you can quickly review and submit directly with FinCEN. CTRs can be quickly reviewed and submitted electronically to FinCEN directly from Verafin. At the click of a button you can queue the report for overnight e-filing directly from the Verafin application to FinCEN. CTR workflow dashboards provide you with a quick visual overview of the status of your reports, from incomplete to accepted by FinCEN. You can configure Verafin to auto-submit CTRs directly to FinCEN for customers you specify, without requiring you to review the report. Verafin will auto-generate a CTR based on a customer’s transactions. It also creates “potential” CTRs for you to review when a customer uses an ATM to deposit funds and the contents of the ATM envelope, if cash, will require submission of a CTR. No more digging through endless reports to determine when or if a CTR is required. No more back and forth between headquarters and multiple branches to gather incomplete reports or fix mistakes. Verafin auto-populates CTRs with all required information. Verafin maintains a log of all user activity, showing who generated, reviewed, and submitted the report. Plus, system-generated copies of your CTRs are archived for a minimum of seven years. It all adds up to smoother BSA exams and happy examiners. The CTR homepage provides you with a quick view of reports sorted by their submission deadline. Interested in learning more about Verafin's Currency Transaction Reporting Solution?